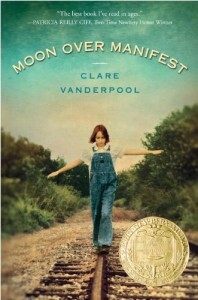 Moon over Manifest is a good book. Although the story line was scattered and sort of confusing it was great. Abilene Tucker was abandoned by her father to live in this strange town called Manifest. There she gets all curious about her father and sets out to learn about her father. Doing that lands her in Miss Sadie's divining Parlor. This is the part where I think the story line got all scrambled. But it was still a great story and a wonderful sort of imagination. I loved the way the story was narrated..it is one of the best books of Rupa Gulab.The little girl Priya is aware of the fact that her father is dead,but one day the tables turn and she meets dad the bad. The emotions of the little girl and her journey with dad the bad follows ahead. 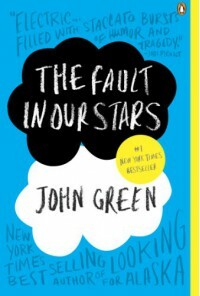 The story is a wonderful piece of young adult literature.Personally it is one of my favourites. 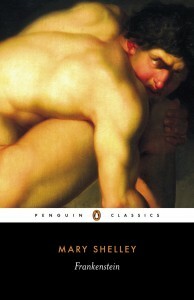 Mary shelley is a renowned author and is appreciated for her works.The novel is a slow burner and the moments of horror with scarce deaths are presented so quick that one cant even develop the moments of proper emotions on them.I didnt enjoy the book much but one cant deny the prestigious position this book has in the history of literature and its impact on millions of readers. Well said.it's not just a book but a beautiful work of art and inspiration! As we grow up we usually dismiss some of our dreams as childhood fantasies.we forget about our actual goal and pusue careers which others expect us to, because thats what everybody does.Recognising personal legends, being able to talk to trees , making wind personal companion, connecting to the core of earth, no fears, listening to your heart, moving in your own way, direct contact with god and a feeling of oneness.yes, thats what Santiago does! Santiago's journey surely taught to believe you can do that and you are the only one who has the spirit inside! 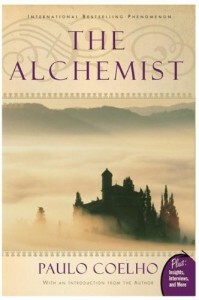 Reading alchemist brought me to the right path, the path which leads to my dreams.alchemist has crossed the boundary of books and has taken a life of its own , creating a movement across the world.It is truly a maktub for paulo coelho to write this book and share it with the world!and above that it was a fabulous experiance reading the alchemist. 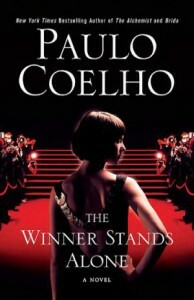 Yes, fame isnt everything and no,the winner does not stand alone.The winner stands alone is completely phenominal novel which describes everything about life .it focuses on the world of superclass.exhilarating and titillating.it successfully describes the never ending desire of mankind and its greed of desire and fame.I loved the way in which the author describes the story of each and every character minutely and even involves the reader .I felt it was an intresting book for young adults. 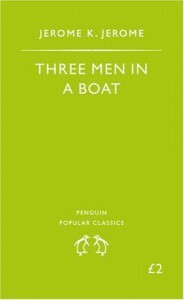 A great sort of imagination and a great sense of humour.from the realising of the 3 friends that they were suffering from every single ailment prescribed in the medical dictionary to a hilarious boat trip and back to their ordinary life, one experiences a great sense of enjoyment and gets involved with the characters in every way .the novel acquiring cross continental reach narrates the dramatic design of the author along with his two friends George and Harris -with the dog escorting them.